The Salmonella outbreak linked to Garden of Eden raw meal replacement and shake mixes has expanded to include 27 people in 20 states, according to the Centers for Disease Control and Prevention (CDC). Since the last update on February 15, the outbreak has spread to five more states and sickened nine more people. A recall of certain lots of the product was issued on January 29, 2016 and expanded on February 12, 2016. The recall includes chocolate, original, vanilla, and vanilla chai flavors. 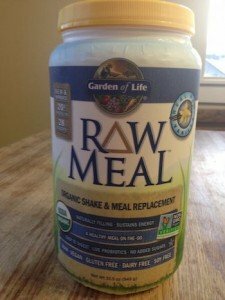 Consumers who have purchased Garden of Eden raw meal replacement mixes should check recall information and should not consume products included in the recall. Among those sickened, who range in age from less than 1 year to 84, onset of illness dates range from December 5, 2015 to March 13, 2016. The median age is 35, and 56 percent of the case patients are female. Five people have been hospitalized. Cases have been reported from the following states: Alabama (1), California (2), Florida (1), Hawaii (1), Massachusetts (1), Maryland (1), Michigan (1), Minnesota (3), New Jersey (2), New Mexico (1) North Carolina (2), Ohio (1), Oklahoma (1), Oregon (1), Rhode Island (1), Tennessee (1), Texas (2), Utah (2), Wisconsin (1) and West Virginia (1).